 When breathing matters We look a little further into this often misunderstood practice with a taste-test of two fine, high-end young California reds that demand extended airing (or cellar time). Juicy and tart, cranberries and red berries and mouth-watering acidity shape the flavor profile of this food-friendly Northwestern Italian red. In a busy week, we're looking at cult wines and visiting a Burgundy maps site; talking about wine labels on tomorrow's TalkShoe, comparing notes on NZ Sauvignon Blanc, and taking a poll on how many wine glasses you broke last year. I'm still getting E-mail about the Dec. 18 article on keeping leftover wine in a half-full (or half empty) bottle and its Dec. 20 follow-up, suggesting that this topic remains near and dear to many a wine lover's heart. Accordingly, I hope no one will object if we come back around for one more look at the topic from yet another direction: Now and then, when we have an ageworthy but youthful wine at hand, exposing the wine to air for hours or even days may be not merely helpful but almost mandatory. This process, also known as "breathing" the wine, is subject to a lot of misinformation. Some people believe all fine wines must "breathe," but it's not necessarily so. What's more, merely removing the cork from the bottle barely allows "breathing," as only a tiny circle of wine in the bottle neck is thus exposed to the oxygen-bearing air. If you're going to do it at all, "breathe" your wine by pouring it into a clean decanter, pouring it vigorously and allowing it to splash and pick up air; or, at a minimum, if you don't expect to finish the bottle, pour out a glass or two with vigorous aeration before capping and storing the rest. When is vigorous aeration called for? Simply enough, if you're insistent on prematurely sacrificing an immature wine that really shouldn't be drunk for years - "committing infanticide," in the rude humor of wine geeks - the two most certain ways to maximize the guilty pleasure are extended aeration and choosing an appropriate food match. How long to breathe? Years ago, when I first started visiting Italy as a wine enthusiast, I thought Tuscan and Piemontese wine makers were just being macho when they insisted that the best of their young wines should be opened 24 to 48 hours in advance. Later, experience revealed that they were simply telling the truth. 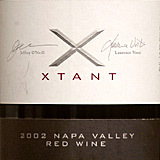 For robust young reds marked by tannic astringency and "closed" aromas and flavors, from Barolo or Brunello through the Northern Rhone through Bordeaux to Napa and on to Australia, a full day - or even two or three - of air exposure can soften tannins and allow the wine to wake up and give at least a hint of its future glory. Don't get the idea that long breathing is as good as years of cellaring, of course. It's not. But if you've just got to see what that treasured young wine is like and you can't stand waiting 10 years to find out, then I suggest two days of breathing and a rare porterhouse steak as the next best approach. Ever since writing those articles last month, I've been waiting for a good opportunity to put this hypothesis to the test, and it finally came recently in the form of my monthly shipment from California Wine Club's Connoisseurs' Series. The January package contained two splendid, sought-after Napa Valley Cabernet blends, both of which really cry out for cellaring. Since duty demanded that I taste them now, I took advantage of the opportunity to follow their evolution over several nights in the open bottle, with the added pleasure of trying them against several dishes - rare steak on one night, a robust chicken saute with a caramelized onion reduction with red wine and a dab of tomato paste on another, and crispy roast duck on a third. The wines behaved as anticipated. On Day One, they were imposing but very tannic and tight, requiring a wine judge's objectivity to taste through the astringency and recognize the character lurking within. They opened up a little on the second night and were much more smooth and complex on the third. Frankly, it would still have been better to cellar them until around their tenth birthdays in 2012. But if you insist on quick gratification, the third day is the way to go with these beauties. N.B. : California Wine Club and Connoisseurs' Series are long-time friends and advertising partners, but these opinions are my own. If you're interested in the clubs, call them at +1-800-777-4443 ... and tell them I sent you. Now, for today's tasting report, let's look at something a little more affordable that requires neither breathing nor cellaring. Barbera, one of the workhorse grapes of Northwestern Italy's Piemonte region, makes a fine, fruity and high-acid table wine that's a natural at the dinner table. 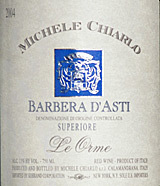 This one from the Michele Chiarlo winery is a fine benchmark example. FOOD MATCH: Sturdy reds from Northwestern Italy's Piedmont are my go-to picks with roast duck, and this item filled the bill very nicely, its sharp acidity helping to cut the residual fattiness that's difficult to avoid in even the most carefully prepared duck. VALUE: A fine, balanced table wine from Italy is fairly priced at this mid-teens point, but shop around: My local retail price appears to be at the high end of a national range from $8 to $14. At the lower end, I'd be tempted to buy by the case as a "house wine." WHEN TO DRINK: The Piemontese consider Barbera, like its neighbor Dolcetto, a wine to drink up while waiting for the bigger Barolo and Barbaresco to mature. If not a long-term cellar candidate, though, it will certainly last for at least a few years without fading. What wine lover hasn't dreamed of touring Burgundy, meeting its wine makers and learning about its wines? No wine is intrinsically worth more than about $30, columnist John Juergens asserts. But if that's the case, who do so many American wine enthusiasts battle for the privilege of pouring hundreds of dollars into a bottle of the latest highly rated "cult" wine?  Live on Jan. 30: Wine Labels decoded on our TalkShoe! Puzzled by terms like "appellation controllée" or "mise en bouteille"? You're invited to talk about wine labels and how to read them on our live, call-in Internet radio show on TalkShoe tomorrow (Jan. 30) at 1 p.m. US EST (10 a.m. PST, 1800 GMT and 19:00 in Western Europe). See our TalkShoe page for instructions, information and hotlinks. 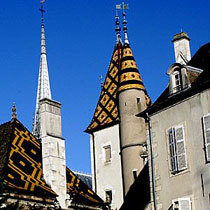 To understand the wines of Burgundy ... it is necessary to understand the region's topography. Domaine Jean-No�l Gagnard's new, content-rich Website - http://domaine-gagnard.com - features outstanding interactive maps, with concise explanations of the terroir, that give you an on-the-ground feel for the terrain. "Open Mike" - a recurring feature on our WineLovers Discussion Group in which a participant proposes a wine or wine type and invites the group to join him in opening, tasting and discussing similar wines - focuses on New Zealand Sauvignon Blanc. The topic is still active, so there's plenty of time to read the reports and add your own!  Poll: How many wine glasses did you break last year? It's an innate hazard that comes with being a wine "geek" ... sooner or later you're going to smash one or more of your wine glasses. Maybe even an expensive glass. We're curious: How often did this small disaster occur in your household last year? Please drop by our Netscape/CompuServe WineLovers Community "voting booth" to fill in the appropriate blank, and see how your response compares with other wine lovers around the world.